On 24th May Zero Cool Gallery are showcasing the opening of their summer spectacular ‘SUPERPOPMAGICSHOW!’at Red Bull Studios London, featuring a whole host of Technicolor kids raised on a diet of TV and Popping Candy. 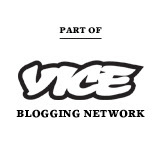 Presenting a collection of Subversive Pop treats for all you lovely people. 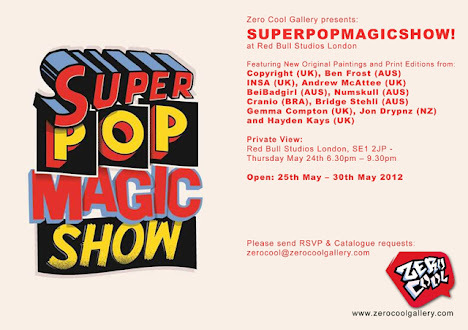 However it doesn’t stop at the opening night as Zero Cool have teamed up with Red Bull Curates to spread a little ‘SUPERPOPMAGIC!’ around London by bringing artists from the exhibition into venues across the capital. Red Bull Curates collaborates with artists and venues giving them a platform to showcase their work and turning traditional venues into a creative environment. Artists have been teamed with a venue and given two days to create a bespoke piece in each space which will be a permanent feature.